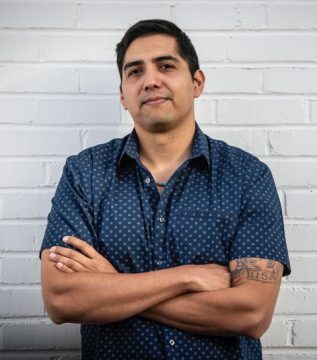 Anthony Florez is a Native American (Paiute) writer, filmmaker, and U.S. Navy veteran from Reno, Nevada. Anthony is currently a first year student at NYU’s Tisch School of Arts Graduate Dramatic Writing program. In 2018 Anthony was one of eight writers selected for the 21st Century Fox Studios TV writing lab and his documentary film “Generations” was selected to a dozen film festivals across North America including LA SkinsFest, ImagiNATIVE (Canada), and the Portland Film Festival.